Looking to shop local this weekend? 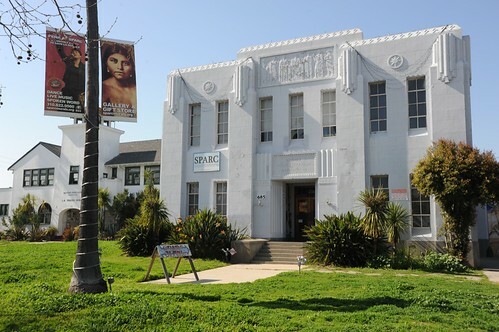 Check out The Food Redenzvous tomorrow in Venice at the SPARC building (which so happens to currently house art galleries and formerly the Venice division of the LAPD). Though it’s great that more and more farmer’s markets are springing up in each of our individual communities, you’ll be getting something a little different at The Food Rendezvous. They make it possible for small, emerging food artisans to reach their customers despite difficult wait times (sometimes as long as 2-3 years to get a stand)Â and permit costs the farmer’s markets may incur. Laurie Dill is a Master Gardener and on the board of the Garden School Foundation and Dominique Leveuf has a juice and beverage line with her partner sourced from local and fairly traded produce. They, as the event’s founders, aim to make Food Rendezvous interactive and inspirationalÂ with author talks and cooking demonstrations, a cookbook swap (donate your old one, get one back, keep buying for $5 each), a jam making contest and a food-related movie screening.